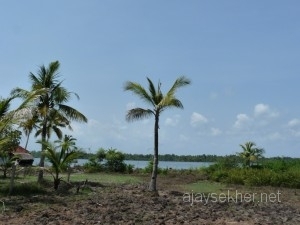 It is a long sandy strip of land between the Arabian sea and the backwaters on the southern coast of Kerala near Kayamkulam. 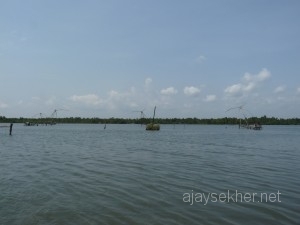 Arattupuzha in Karthikapally Taluk of Alapuzha district lies between Trikunapuzha and Valiazheekal. Now a new bridge connects it to Kayamkulam in the east as well. It is separated from the mainland by Kayamkulam Kayal on the east and the Arabian sea forms its western margin. Place names that survive centuries of invasion, erasure and cultural hegemony testify that these wetlands towards the south of present Alapuzha district sandwiched between Vembanad and Kayamkulam backwaters were renowned Buddhist centers in south India for more than a millennium (Alexander 1949: 6). 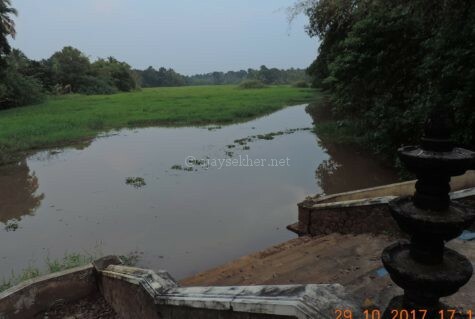 Trikunapuzha and Thotapally in the north are identified as sites of ancient Buddhist Viharas and possible location of Srimulavasam the southern seat of the Buddha (Narayanan 2005: 23). Place names like Karthikapally, Perumpally, Dhanapally etc. prove that ancient Sramana pallys (Buddhist Viharas or shrines) were plenty in the region. 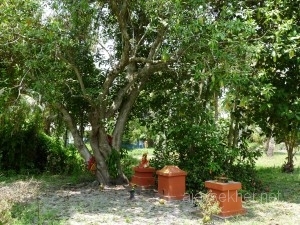 Buddhism survived well into the 13th or 14th centuries here in this watery margin sheltered by the wetlands and marshes that isolated it from the Brahmanical conquests in the mid-mainlands of Kerala that began in the 7th century and established itself by the early middle ages in Kerala. 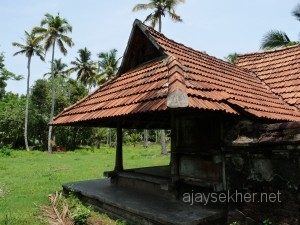 Sramana pallys and people survived in the margins of Kerala even after the conquests of Brahmanic ideologues like Sankara and his Savarna followers in the eighth and ninth centuries in and around the great wetland ecosystems of Kerala, the Vembanad, Kayamkulam and Sasthamkotta backwaters. 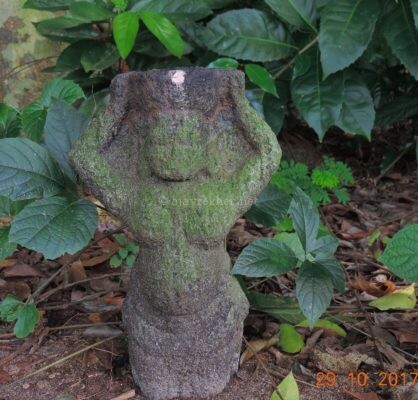 It is also remarkable to observe that Sramana traditions in the corrupt and disguised form as Chathan (Sastha or Buddha/Jina) worship survived in the west of Thrissur Kol wetlands as well. 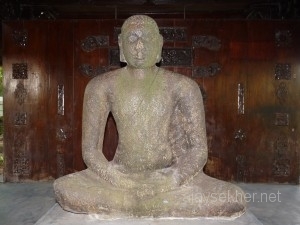 Buddhism and Jainism were also pushed to the eastern frontiers of Kerala to the high reaches of the western ghats during the early middle ages by Brahmanism and its Sudra henchmen together called the Savarna elitist and hegemonic culture of Kerala that is a product of the infamous sexual colonies and the nocturnal alliance called Sambandham that gave birth to the Manipravalam wedlock-culture and writing. 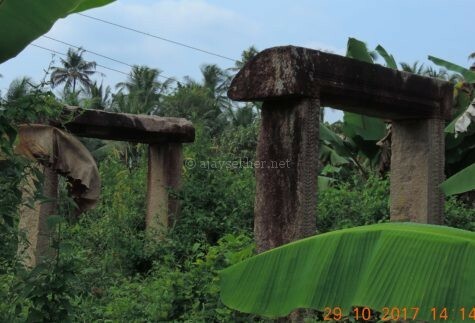 Achankovil, Sabarimala and Anamalai Sramana settlements are relics of this ravaged cultures that are now being Hinduized. 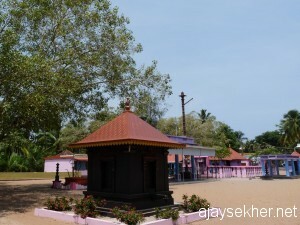 The very place name Arattupuzha has its associations with Perumapally that lies to its south and is connected to the annual celebration in the Pally called Arattu which is still retained by Savarna Hinuized temples along with the ritual called Pally Vetta originally belonging to the annual rituals in the Pallys or Sramana temples and shrines. The huge river or puzha here was used for the ritual bathing ceremony of the deity of Perumpally or the big Pally or huge Buddhist shrine. 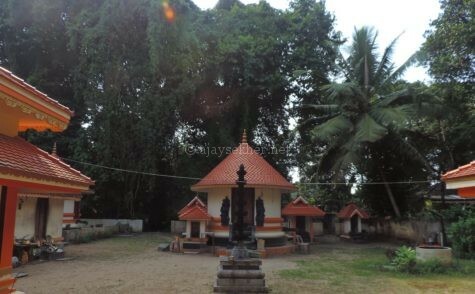 The Kallisery Ezhava household in Arttupuzha produced generations of warriors who were well trained in martial arts like Kalari Payatu, medical practices like Ayurveda and astrology (Wikipedia). They were also well versed in Sanskrit and some of them including the father of Velayudhan (Kalliseril Perumal Chekor) and himself were experts in even Tulunadan style of Kalari (Vasavapanicker 1980: 12). It is evident that they were associated with the protection of the Perumpally here and even after the Savarna conquests they recovered some of their self defensive resistance practices and effectively resisted Savarna aggression and violence in the 18th and 19th centuries. 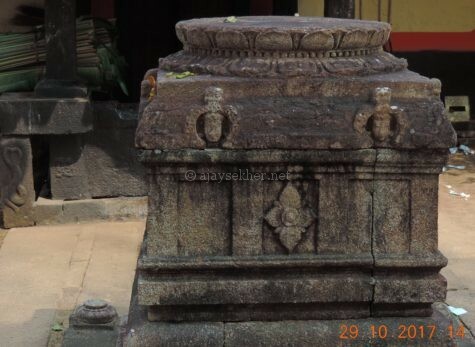 The reference to Kal or stone in the name of the household is also a Sramana marker as Kal is associated with place names having affixes like Kottam or Vattam or Kuti – all referring to the ancient stone based architecture introduced by the Sramana sages in Kerala still existing as in place names like Kallil, Papinivattam, Kutipuram etc. (Valath 1991). 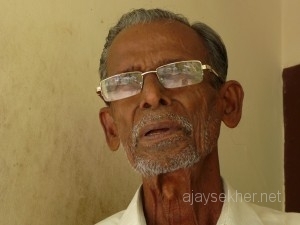 Though the life and struggles of the legendary Velayudha Panikkar of Arattupuzha has been kept outside the academic pedagogy and official history by the traditional ruling classes and Savarna hegemony in Kerala; recently there was a renewed interest in his guerrilla fights against the violent empire of caste and Hindu Brahmanism that are still lingering and assuming fierce proportions. 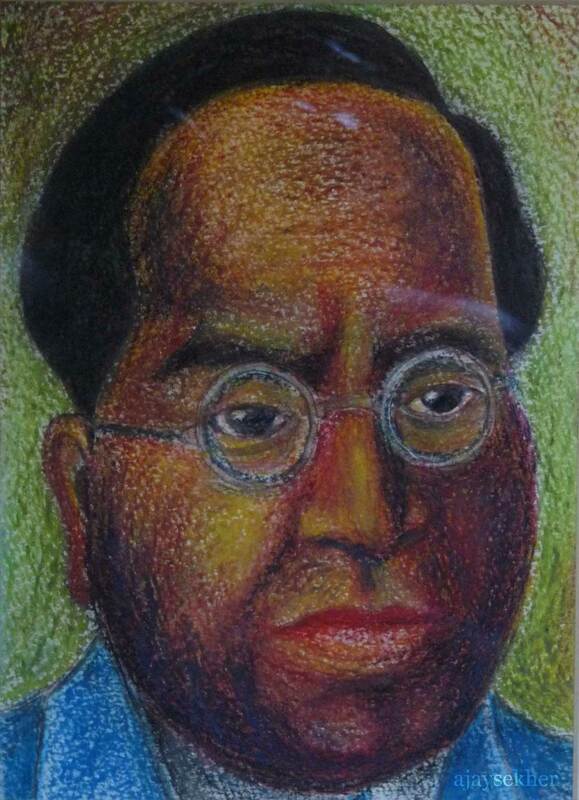 A foundation is formed recently for the study of his ethical and anti caste resistance legacies. 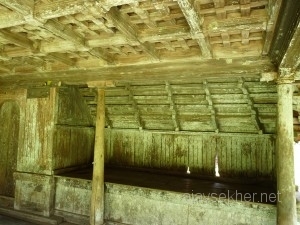 A community hall, the temple founded by him, the Kallisery household etc. 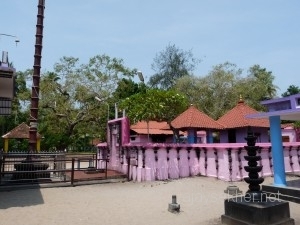 are some of the monuments that still revitalize his memories at his nativity in Arattupuzha. I visited Arattupuzha on 19th May 2011 and saw the reminiscences of this great anti caste crusader from 19th century Kerala. It has been my longing for a long time ever since I began my study on caste and marginality in Kerala and India for my doctoral dissertation. Yesterday it was materialized and I could see these places rich with the history of resistance of the people at the bottom and the real socio cultural and material margins of Kerala against caste, Brahmanism and the Savarna hegemonic elitist culture of Kerala. 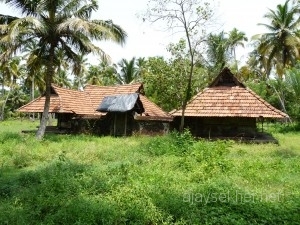 The Sramana people of south Kerala who were later considered as Avarnas or untouchables under Hindu Brahmanism because of their Sramana ancestry were pushed to the very limit and margin and nailed against the wall here in the early middle ages by the invading Brahmanical conquests carried out by the Sudra militia. The Bahujans or Buddhist people were between the devil and the deep sea literally. That precarious condition of self defense gave birth to immortal rebels and fighters like Velayudha Panickar (1825-1874). He is the first Avarna to make temples, schools and libraries for the subaltern or people in Kerala as early as the early 19th century. He is the first warrior to fight against Savarna or upper caste dehumanizing violence like violating the modesty of Avarna women and humiliating them in public. He is the first social revolutionary in Kerala to question the hegemonic restrictions imposed by upper caste Sudras regarding the use of breast cloths and gold ornaments by Avarna women. He is the first immortal rebel in known local minor histories to defy and hit back at the Savarna or upper caste feudal Sudra lords who perpetuated physical and symbolic violence against the Avarna or the subaltern in south Kerala (Sathyaprakasam 1998: 12). 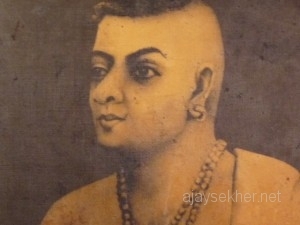 It was Velayudha Panicker who paved the foundation of social reformation and political protest in early 19th century south Kerala that eventually culminated in Kerala renaissance as in its most ethical articulations through Narayana Guru, Muloor, Asan and Sahodaran in late 19th and early 20th centuries. In this respect Arattupuzha Velayudha Panicker began the counter hegemonic resistance movement of people marginalized by Brahmanism and caste for centuries and began the egalitarian and ethical democratic reformation of Kerala. His life and early struggles are inevitable in the study of Kerala’s historical formations and Kerala renaissance. He organized a meeting of various Avarna social youths and established a brotherhood of untouchable socio cultural activists in Aratupuzha (Sathyaprakasam 12). He also founded an art and cultural wing to stage performances like Kathakali that was prohibited for the Avarnas. 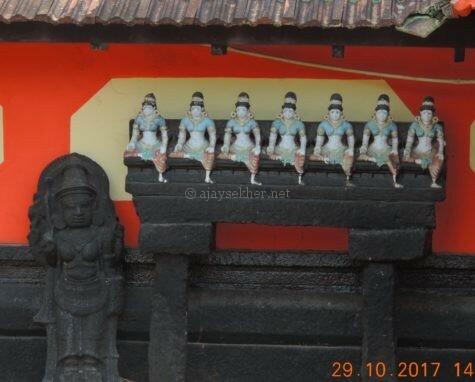 Panicker established a troupe and school called Kaliyogam or Kalari for the training of young Avarnas in Kathakali. 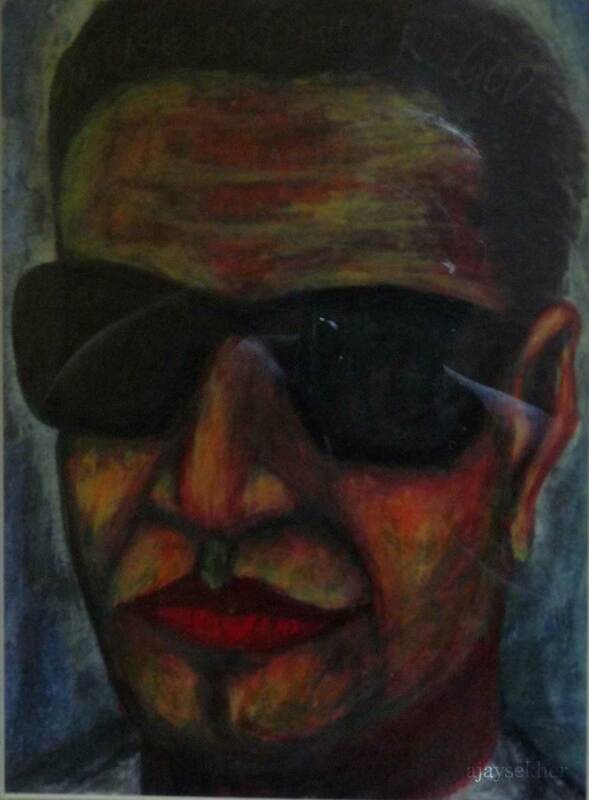 It lasted till his death and produced many artists from the untouchable communities. There were furious complaints and protests from Sudras to ban this. 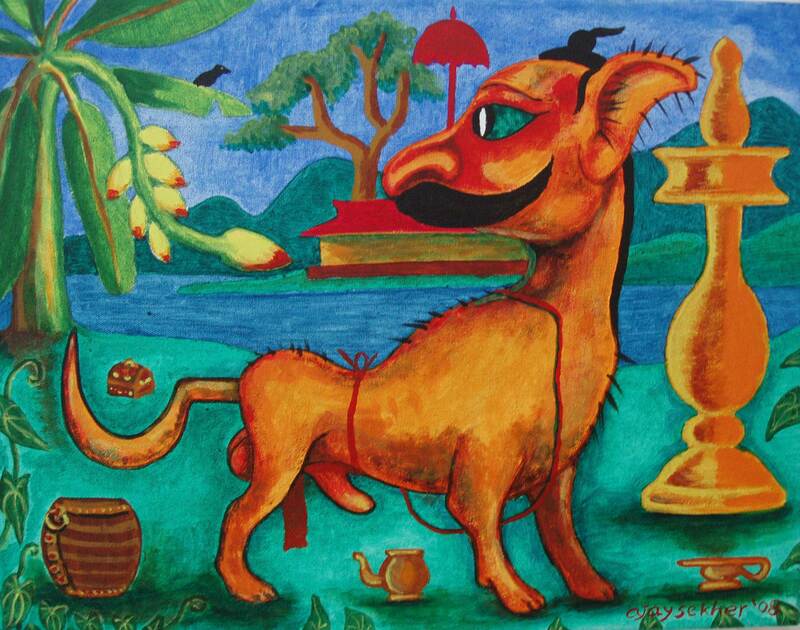 But defying the Savarna conspiracy against the artistic pursuit of Avarnas, Panicker helped Avarnas in Changanasery and Kottayam to establish their own Kaliyogams in their localities (Sathyaprakasam 13). Velayudha Panicker also supported the most marginalized communities now called dalits by running night schools and Kalaris for them. His institutions were open to all sections of society. He also supported them by giving assistance in building new huts and renewing old thatches. This interest in the social bottom later influenced Avarna poets like Muloor to compose his well known Pulavrithangal that portrayed the life and struggles of dalits (Sathyaprakasam 13). As social change and conversion was in the air soon after the missionary intervention in south Travancore in Nanjinad in relation to the breast cloth controversy and the Channar revolt in the mid 19th century; Panicker spread the word of socio cultural change among the people and prompted Avarna women to cover their breasts with cloths in public. In Kayamkulam market an Avarna woman was stripped and humiliated by Nair men and Panicker and fellows retaliated with counter strikes immediately (Sathyaprakasam 13). The Sudra lords who perpetuated the heinous crime of violating the modesty of women in public were given instant sentence and ready execution then and there and this shocked and checked the Savarna hegemony around Kayamkulam forever. He also distributed breast cloths for Avarna women to wear in public and no Nair henchmen of Brahmanism dared to touch any Avarna women in and around Kayamkulam thereafter (Sathyaprakasam 13). To add to this terror treatment Panicker told the Avarnas not to work for the Savarna upper castes. The Nair feudal lords were really reduced to nothing through this labor refusal by the dalit bahujans. They publicly apologized before the humiliated Avarna woman and only then Panicker withdrew his labor strike. During these days he gave food and minimum wages to thousands of agricultural laborers in the region (Sathyaprakasam 14). It is clear that such early work strikes must have influenced later dalit leaders like Ayyankali to organize his protest strikes for educational rights. An Avarna woman wearing a gold nose ring was again disgraced by Savarna Nair henchmen at Pandalam further north east of Kayamkulam now in Pathanamthitta district. The inhuman caste lords plucked the ring by tearing the nose of the young woman and this wounded the minds of Panicker and his young comrades badly. They lead by Panicker reached Pandalam some fifty miles east, perhaps through river Pampa on their paddled boat rowing hard upstream against the flood of gushing waters from the ghats in disguise or under the cover of night and retaliated sans mercy(Sathyaprakasam 14). He also made and distributed at least one thousand gold nose rings among Avarna women in Pandalam and asked them to wear it in public and no Nair lord in Pandalam dared to touch them . Velayudha Panicker also practiced inter dining in those early days. He enjoyed inter caste meals with dalits mostly Pulayas and Parayas of his region; that was a shocking thing to do in the early 19th century Kerala (Sathyaprakasam 15). Sahodaran Ayyappan who organized the first documented inter dining in the history of Kerala at Cherai in 1917 must have took his inspiration from the oral tales and narratives on Arattupuzha Velayudha Panicker who practiced this radical subversion of caste almost a century ago a few hundred miles south in the southern coast of Kerala. He was assassinated at the age of 49 by a henchman sent by the Savarna lords while in deep sleep in his boat in the Kayamkulam Kayal near Perumpally. But the spirit of resistance and rebellion against hegemony, the cause of social justice and human rights, the agenda of radical revolution and democratic cultural politics and struggle unleashed by this immortal activist against caste and Savarna Brahmanic hegemony of Kerala is unique, contemporary and even futuristic. His activism was based on concrete socio political intervention and change. He also stressed the importance of art and culture in emancipation. His Kalari practice of martial arts, Ayurveda, astrology and Kathakali articulate the significance of representation, cultural politics and cultural capitals in the struggle for equity and justice. His mode of temple installations reinforce the spiritual quests, needs and awakening of the masses on an ethical and spiritual plane. His institution building including schools and libraries project the primacy of welfare governance and constitutional frameworks. His counter resistance and physical revolts accent the social and material mobility of the subaltern. 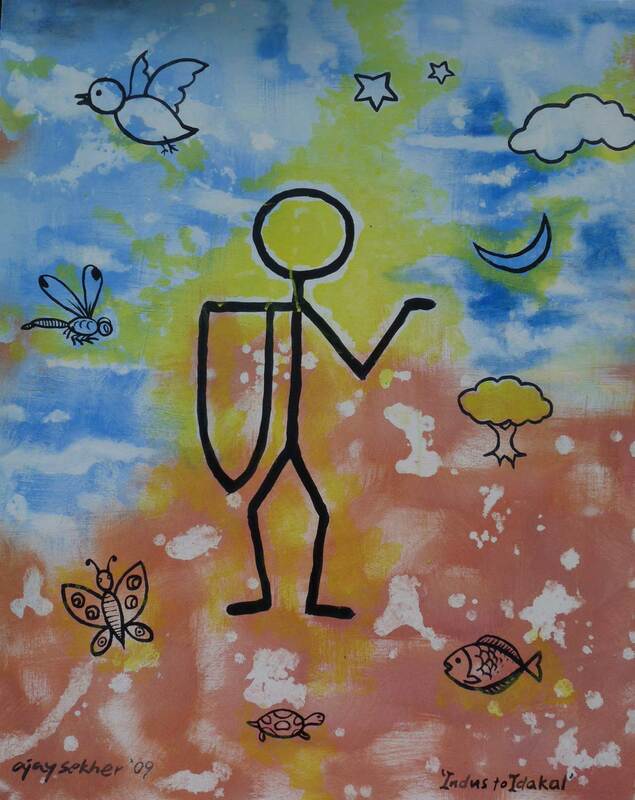 He offers plenty of possibilities for social activists, radical reformers and cultural policy planners and people in governance and social action. It is also important to remember that he inspired generations of social reformers, philosophers, spiritual leaders, cultural activists and democratic fighters till the present and will remain as a source of inspiration for the future democratic struggles in and outside Kerala. Though Panicker has been influencing me in many respects for a long time I could reach his homeland only yesterday on 19th May 2011. 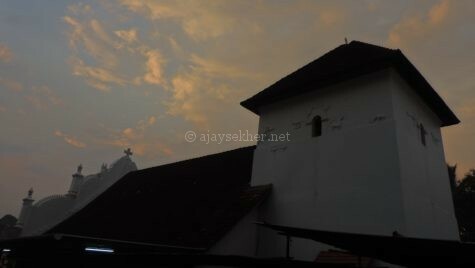 From Kottayam I got Chennai – Trivandrum mail to Kayamkulam in the morning. From the KSRTC bus stand now there are plenty of buses operating through Arattupuzha after the new bridge that is constructed between Pullukulangara and Perumpally. 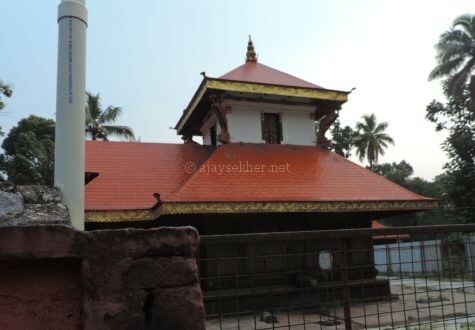 First I went to Mangalam a few miles north of Arattupuzha bus stop where the temple and Kallisery household are situated. 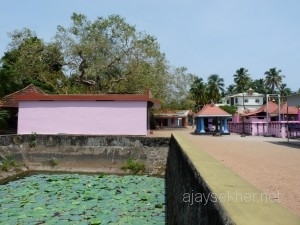 The moment you alight at Mangalam the small but beautiful temple premise and the community hall erected in the memory of Velayudha Panicker catch your eyes. 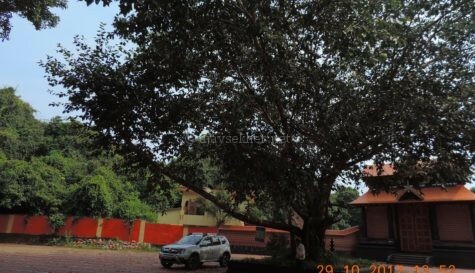 There is a huge Banyan at the stop itself between the road and the Arabian sea. There are plenty of Pipals around the temple. The lotus pond and another pond with green water plants are really cool and captivating. 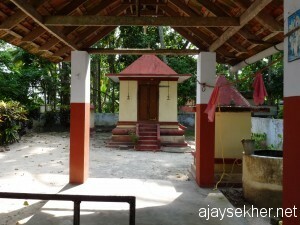 The temple in Mangalam was founded by Paniker in 1854. 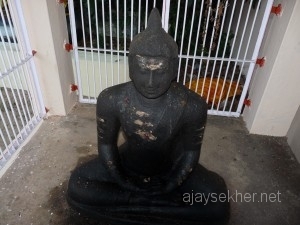 He installed one more temple in Cheruvaranam in 1855 near Varanapally. He allowed all people irrespective of caste, creed and gender to enter and worship in these temples. 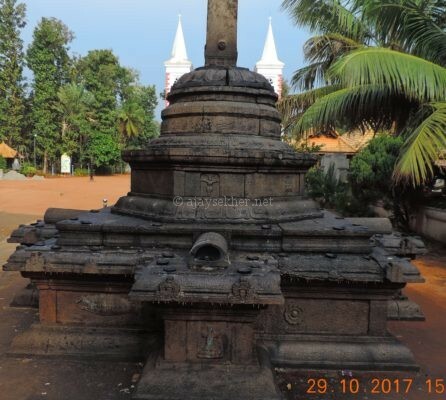 It is important to note that this happened all most three decades before Narayana Guru’s Aruvipuram installation of 1888. 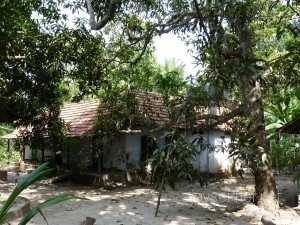 It is explicitly evident that Narayana Guru who received education at Varanapally household on the eastern banks of Kayamkulam Kayal from where Panicker found his wife Velumbi was clearly aware of the socio-spiritual and martial legacy of Valayudha Panicker. 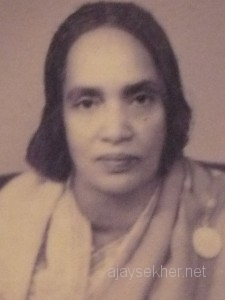 Muthukulam Parvathiamma (1904 - 78): Early woman writer in Malayalm, belongs to Muthukulam, east of Kayamkulam Kayal, detail from a portrait at her home. As an early 19th century activist and interventionist against caste and Brahmanism Panicker tried to acquire the cultural and symbolic capitals the Savarnas monopolized like temple worship, education, learning, arts like Kathakali and religious ritual practices including temple rituals. That is why during the 1840s and 50s he traveled extensively in the western coast to Vaikom, Guruvayoor and even up to Goa in diguise as a Brahman to enter into these Brahmanical temples there and find out the subtle nuances and cultural distinctions of Brahmanical worship. 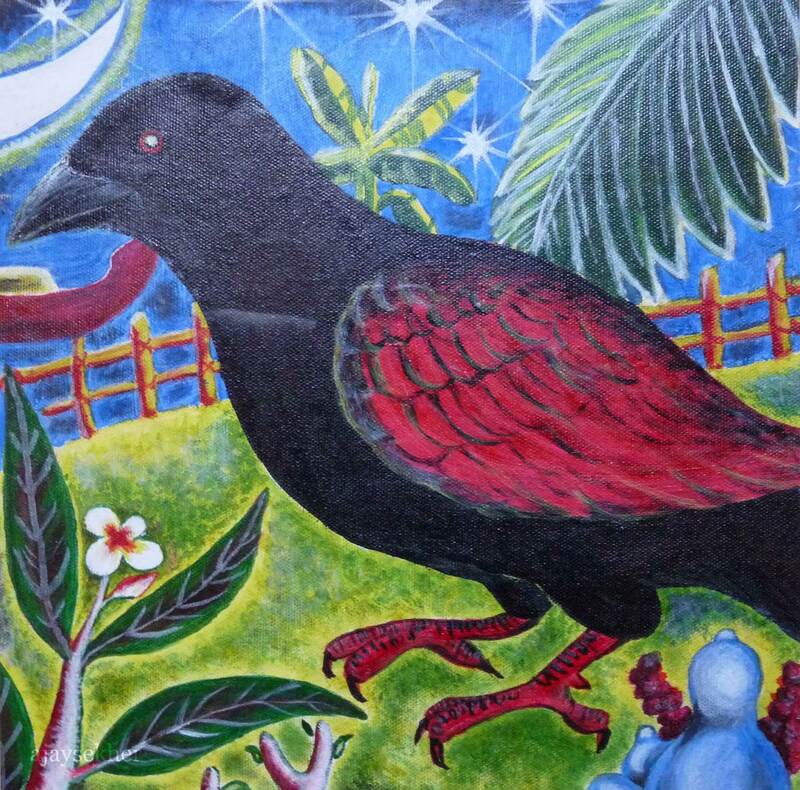 After a great deal of observation and study he formed a simple and egalitarian ritual code and performed his own installations in south Kerala in the 1850s. This observation and critical appropriation by Panicker could not be rejected as mere Sanskritization and imitation. 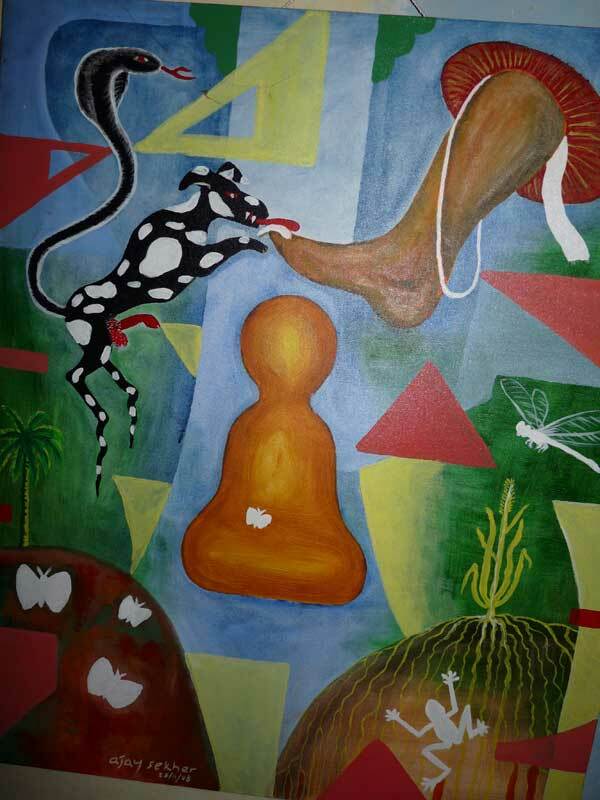 It is something beyond cultural mimicry having greater political goals and strategic essentialism. Smiling Buddha: Detail from Mavelikara Buddha idol, Buddha junction, Mavelikara, Alapuzha Dist. Legend has it that he was chased by the Brahmanical henchmen even up to Cherthala from Guruvayoor on finding out that he was an Avarna or untouchable Ezhava. He used traditional boats with paddles, horses and elephants during his expeditions and interventionist explorations all along the south coast. That is why local people still cherish his memories and talk about him as a savior, martyr and ethical fighter for human dignity and rights. He was indeed a martyr who dedicated his life and efforts for the liberation of his community and similar Avarna communities in his region by struggling in various ways with the Savarna hegemony of his time in Kerala. Mr Raveendran who runs a hotel near the temple at Mangalam keeps a portrait of Panicker and is articulate about his legacies. People in the locality still remember about the primary school and small library founded by Panicker in Arattupuzha in early 1850s itself. Though these pioneering institutions have vanished after the assassination of Panicker by cheat the memories and emancipating spirit are still with the local people. 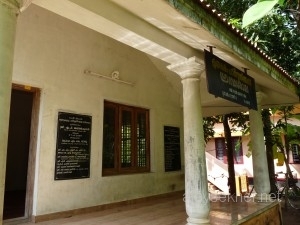 There is a library established in 1924, named after Asan near the temple and Kallisery household that still survives. 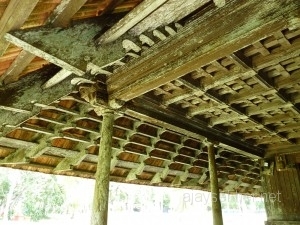 The Kallisery Nalukettu made of teak is still surviving the ravages of time though some parts are demolished and in decay. The Government must take immediate and timely steps to protect this historic monument and preserve it as a museum of cultural history, social justice and human rights for posterity. The surrounding Govt. schools, the temple, the ponds, the library, the community hall and the Kallisery household must be transformed into a greater cultural complex that could become the common and shared heritage of Arattupuza, Alapuzha and Kerala in general. The ancient household and associated monuments of this legendary fighter could form an apt memorial for Kerala renaissance as well. 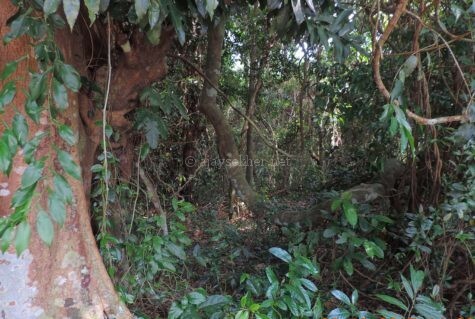 Archeological studies and excavation in this narrow land bridge including Thotapally, Trikunapuzha, Arattupuzha and Perumpally may also reveal vital treasures related to the Buddhist past of Kerala. 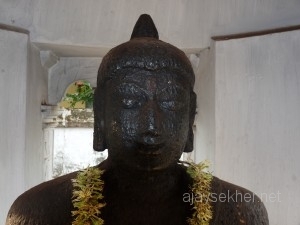 Alexander, P C. Buddhism in Kerala. Annamalai University, 1949. 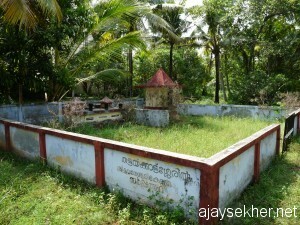 Sathyaprakasam, M. Sarasakavi Muloor S Padmanabha Panicker. Trivandrum: Govt of Kerala, 1998. 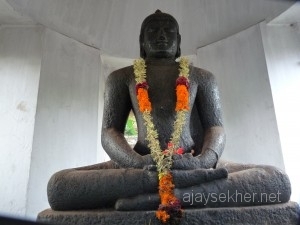 Narayanan, Aju. Keralthile Buddhamatha Paramparyam. Changanasery: Tapasam/Current, 2005. 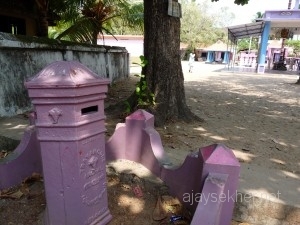 Valath, V V K. Keralthile Sthalacharithrangal: Ernakulam Jilla. 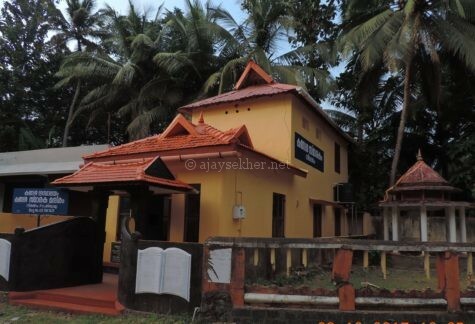 Thrissur: Kerala Sahitya Akademi, 1991. 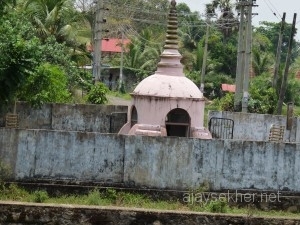 Vasavapanicker, Kumbalamchirayil. 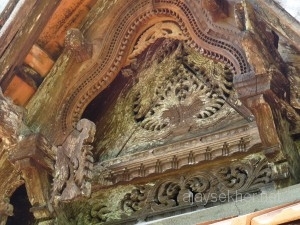 Sarasakavi Muloor. Pathanamthitta: KVP, 1980. This entry was posted in Cultural Politics, Culture and Ecology and tagged anti caste activist from 19th century Kerala, Arattupuzha, Arattupuzha Velayudha Panicker, Buddhism and Alapuzha, Buddhism and backwaters in Kerala, Buddhism in Kerala, Buddhist legacy of Kerala, early social reformer in Kerala, fighting caste and Brahmanism in early 19th century Kerala, Kallisery, Kallisseril, Karthikapally, Kerala renaissance, Mangalam, Muloor, Narayana Guru, people and persons behind Kerala social revolutions, Peumpally, Sahodaran, Srimulavasam, the conversion debate in Kerala renaissance, Thotapally, Trikunapuzha, Valiazheekal, wetland and cultural geography in Kerala, wetland ecology of Kerala on May 20, 2011 by Ajay.